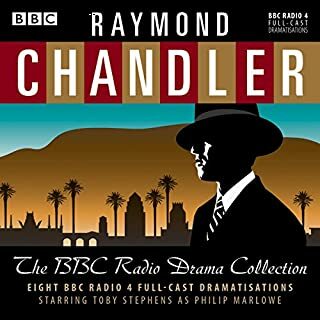 Toby Stephens stars in this BBC Radio 4 full-cast dramatisation of Raymond Chandler’s final completed Philip Marlowe mystery.Fast-talking, trouble-seeking private eye Philip Marlowe is a different kind of detective: a moral man in an amoral world. California in the ’40s and ’50s is as beautiful as a ripe fruit and rotten to the core, and Marlowe must struggle to retain his integrity amidst the corruption he encounters daily.In ‘Playback’, Marlowe is awakened early in the morning by a phone call from a lawyer. 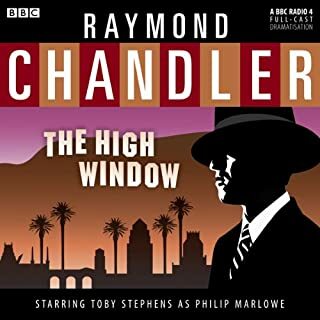 Toby Stephens stars in this BBC Radio 4 full-cast dramatisation of Raymond Chandler’s second Philip Marlowe mystery.Fast-talking, trouble-seeking private eye Philip Marlowe is a different kind of detective: a moral man in an amoral world. California in the ’40s and ’50s is as beautiful as a ripe fruit and rotten to the core, and Marlowe must struggle to retain his integrity amidst the corruption he encounters daily.In ‘Farewell My Lovely’, Marlowe has a chance encounter with a not-so-gentle giant outside Florian’s nightclub. A brand new BBC Radio 4 full-cast dramatisation of a classic Raymond Chandler mystery featuring private eye, Philip Marlowe. I'm a huge fan of those old radio plays from the 40's & 50's so at first I was a bit skeptical that they could re-create what is now an entirely lost artform. But I was blown away by how wonderful a job they did at producing that same feeling while listening. 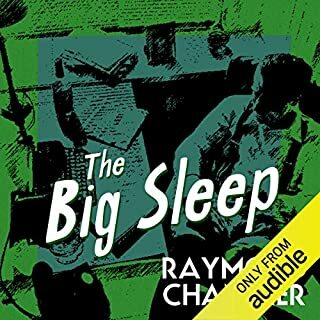 The acting, music, sound effects & overall production all contributed to a really great translation of Raymond Chandler's book into the different medium. 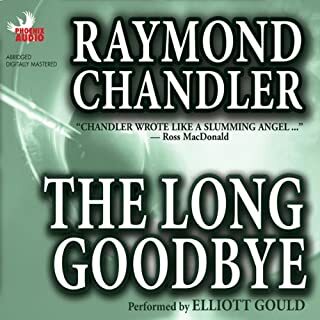 Where does Raymond Chandler: The Long Goodbye (Dramatised) rank among all the audiobooks you’ve listened to so far? In the upper third. 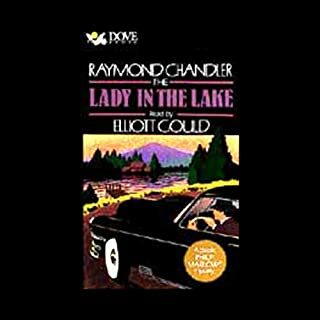 These dramatized Chandler tales aren't not long enough to spend a full credit on, but they are entertaining enough to pay the small price Audible asks for them. The dramatization. These abridge shorts are very well made. Bought this one and then started collecting some of the others. I'm up to three of these now, and can see myself buying a few more. Dramatisation is certainly more fun than a single reader's voice. Reader's chosen well and great material. So disappointing was this story that I didn't bother listening to the ending. Predictable and slow. I usually love the Raymond Chandler stories with Philip Marlowe so I was surprised and bored. I will think again before ordering another. I’m a fan of Mr. Chandler and this story hits all his beats! Well done all around. Better actors, full production elements, sound effects, and a longer less condensed version of the story. 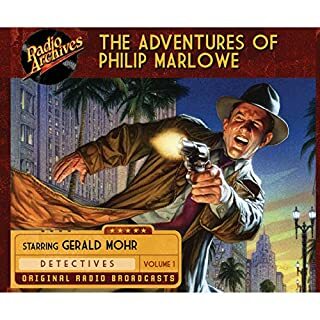 Phillip Marlowe-however this rather amaterurish version of Marlowe doesn't work. The narrator tried too hard to evoke a film noir influenced style to his read. It was not only ineffective it was style over substance. The beauty of any Chandler book is the words, the late Ed Bishop who performed these same stories in the 1970's on BBC articulated and emphasized with ease the language and attitude of Chandler. Toby has the pipes but gets lost by not understanding the context of the character. It's especially annoying with the inferior mix of audio, a lot of background bursts of voices which are mere fragments of the original production, The whole production although sharp in some sections sounds too post modern and ironic. What character would you cut from Raymond Chandler: The Long Goodbye (Dramatised)? That should read what actor? The gentlemen playing Terry Lennox was horiffic, sounded like a 17 year old boy. No Jim Bouton. Unfortunately Ed Bishop has passed, and the original 1970's era actors and producers are likely not available. I admire the fact that you would take this task on and Toby is talented, but not ready to step in Ed's shoes. As for the paired down production elements and lesser actors it's a real disappointment. Instead-reissue the superior production from the 1970's. The producers should have offered the lead to Elliot Gould who besides being a great actor, is a huge chandler fan and the star of the 1973 film adaptation of the book. Loved it, Toby Stevens Marlowe is granite with a marshmallow centre! A classic Chandler tale not to be missed.